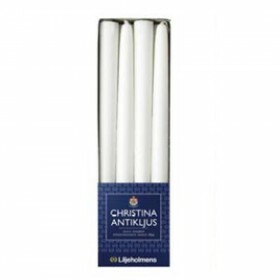 Founded in 1837 by the chemist Johan Michaelsen and Lars Johan Hierta, the Swedish company Liljeholmens is one of the oldest companies in Sweden and one of the largest candle makers in the world. Often presented as the best candles in the world, these straight Scandinavian candles brighten up many Swedish houses every winter. Prefect for all seasons and occasions, they create a warm, calming atmosphere which makes you feel like staying at home. Often presented as the best candles in the world, the Scandinavian Torch candles brighten up many Swedish homes every winter. Prefect for all seasons and occasions, they create a warm, calming atmosphere which makes you feel like staying at home.